Wikipedia: Dracula Has Risen from the Grave is a 1968 British horror film directed by Freddie Francis for Hammer. It stars Christopher Lee as Count Dracula, with support from Rupert Davies, Veronica Carlson, Carry Andrews, Barbara Ewing, Ewan Hooper and Michael Ripper. The world of the film is arguably far darker and more ambiguous than the world created by director Terrence Fisher for the previous three films in the Dracula series. The film opens in a middle-European village still in the throes of Dracula's reign of terror (see Dracula: Prince of Darkness), where an altar boy discovers the body of a woman stuffed in the church's bell. She is another victim of Dracula, and the village - which Dracula's castle overlooks - is terrified. A year after Dracula has been destroyed, a Monsignor (Davies) comes to the village on a routine visit only to find the altar boy is now a frightened mute. The villagers refuse to attend Mass at church because "the shadow of his castle touches it". The Priest has apparently lost his faith. To bring to an end the villagers' fears, the Monsignor climbs to the Castle to exorcise it. The Priest cannot follow him up the mountain and the Monsignor continues alone. As the Monsignor exorcises the castle, attaching a large metal cross to its gate, a storm strikes, and the Priest tries to run, but falls and is knocked out, cutting his head on rock. 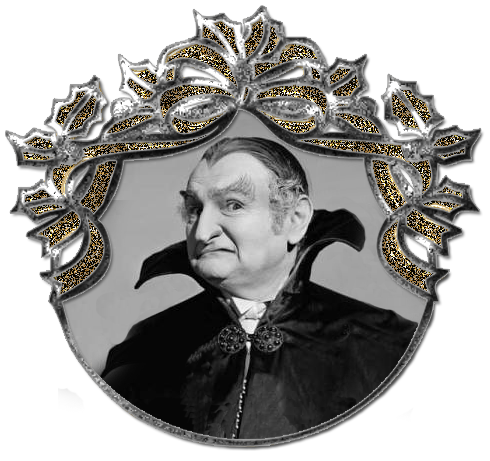 His blood trickles into a frozen stream; through a crack in the melting ice it trickles on to the lips of the preserved body of Count Dracula and brings it to life. The Monsignor goes back to the village believing that the Priest had already safely returned, and assures the villagers that the castle is sanctified to protect them from Dracula's evil. He returns to his home city of Keinenberg. The Monsignor sees the signs of vampirism in his niece and follows the fleeing figure, but is knocked insensible on the rooftop by the Priest. In his dying state he recruits Paul to help. Paul is an atheist but his love for Maria drives him. Unwittingly he enlists the Priest's help who, unable to break free from Dracula's influence, tries to attack Paul. Paul forces the Priest to lead him to Dracula's lair beyond the tavern bakery. They stake Dracula through the heart; the faithless Priest and the atheist Paul cannot complete the rite and Dracula removes the stake himself. He draws Maria to him on the rooftop, and they are pursued by Paul and the Priest. Dracula carries Maria to his castle, orders her to remove the metal cross. She tumbles it over the parapet to the ravine below. Paul faces the Count outside the castle and during the struggle Dracula drops over the parapet and lands on his back, impaled on the cross. He fights to free himself, weeping tears of blood, but the Priest recites the Lord’s Prayer and Count Dracula perishes, and dissolves into dust. Reunited with Maria and his religion, Paul crosses himself over the spectacle.